We have been working together since 2011. We exist to develop the creative capacity of cities and to connect people with the decision making processes that underpin the urban experience. A design study to improve active travel options through woodland near Penicuik. Developing a Community Action Plan for Langholm High Street in collaboration with local young people. A new landscape strategy for a greenspace in Barrhead, developed through community engagement with a range of local stakeholders. The creation of a new public realm pavilion for the East Village, site of the former Olympic athletes' village in London. Design of public realm to compliment new cycle and active travel routes in Glasgow. An engagement programme exploring the possible mixed use development futures of a High Street carpark. Collaborative research project exploring the role of arts and culture within placemaking projects and funding structures. Public realm design for Making Places Waltham Forest designed in consultation with the neighbouring school. Kirkwall's first public art project, imagined as a trail of heritage focussed works placed throughout the town centre. Exhibition and publication series exploring what placemaking really means. The development of a new landscape strategy for a park close to the centre of Barrhead, building on extensive community engagement. A series of workshops exploring the role of arts and culture within placemaking. Creative workshop programme connecting young people with the built environment. A new landscape strategy for a greenspace in Cumbernauld to support community growing, shared outdoor activities and wellbeing through greensapce. A Making Places Charrette for nine villages on the outskirts of Dundee aiming to consider solutions to service provision within a rural context. A Making Places Charrette exploring Parkhead Cross town centre leading to delivery of projects supporting a successful high street for the local community. 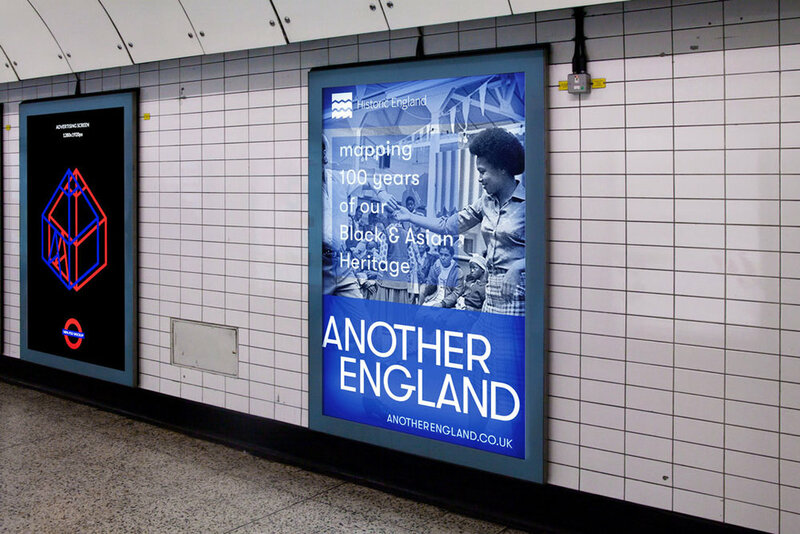 Mapping Black, Asian and Minority Ethnic histories across England through buildings, social and cultural infrastructure. Collaborative research project with Two Many Siblings. Interactive 360 degree VR installation. Delivering a wide ranging engagement programme to inform Glasgow City Council's update to the citywide Parks & Green Space Strategy. A Making Places charrette, focussing on providing opportunities for young people to discuss and share their ideas for the future of Peterhead town centre. Stratgic consultation on public realm enlivenment. Working with Jackie Kay, Scots Makar to design and develop a physical artwork featuring a bespoke poem written for the site. Heritage interpretation designed and developed in conversation with the current congregation and stakeholder organisations of the Honeyman designed North Barony Church. Workshops with park users and stakeholder organisations to explore the connection between the country park and organisations including The Burrell and Pollok Country House. Concept design of a large scale phsycial intervention for North Glasgow, in collaboration with Stallan-Brand and M-Rad Architects (Los Angeles). A Making Places Charrette, exploring better futures for the high street and town cente of Forfar with local residents, businesses and organisations. Bespoke artwork for the new home of NTS, Rockvilla, each Beacon represents shows and performance projects produced by the Theatre across Scotland. Workshops with vulnerable adults and young people to explore the built heritage of Paisley informing future development planning. Mapping creative industry and arts hubs in Lagos, Nigeria. 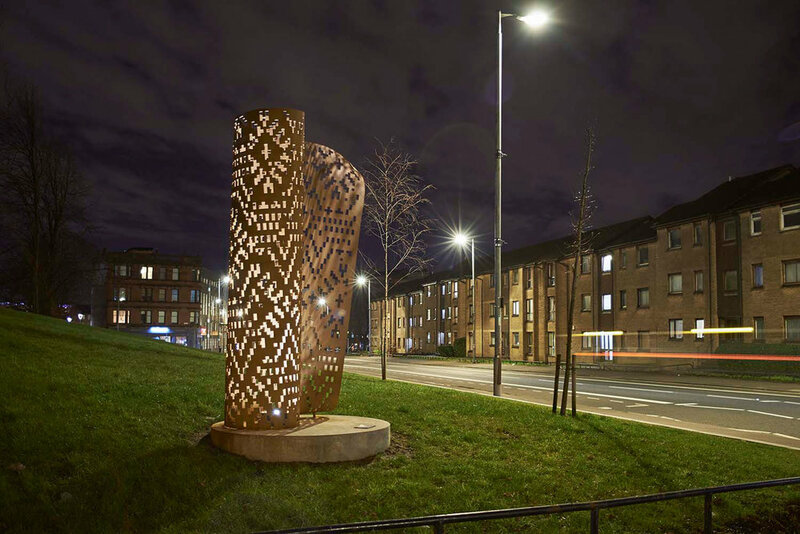 Mapping and highlighting connective routes between greenspace and Cumbernauld's famously brutalist town centre. Concept design for a public intervention providing shelter and seating to improve the pedestrian experience of Byres Road. Workshops creating opportunities for participants to shape the architectural brief for a new Watersports Hub on Loch Lomond. Delivering a wide ranging engagement programme to inform Glasgow City Council's update to the citywide Allotment Strategy. Theatrical dining experience gathering incoming and existing communiies of the Barras, alongside decision makers, local and high level organisations to discuss a process of urban change. Working with stakeholders across Scotland to understand how communities might support and be supported by the introduction of offshore renewables near their coastal towns. A series of artworks unveiled across Book Week Scotland 2014 to celebrate libraries as vital community assets. Commissioning and working with early career artists to create 2D and 3D works enlivening vacant shop units in Cumbernauld. Working with citizens to map their experiences of the city using a variety of open technologies, supporting digital literacy across Glasgow. Engagement and education programme with young people exploring citizen journalism through digital technologies and social media. 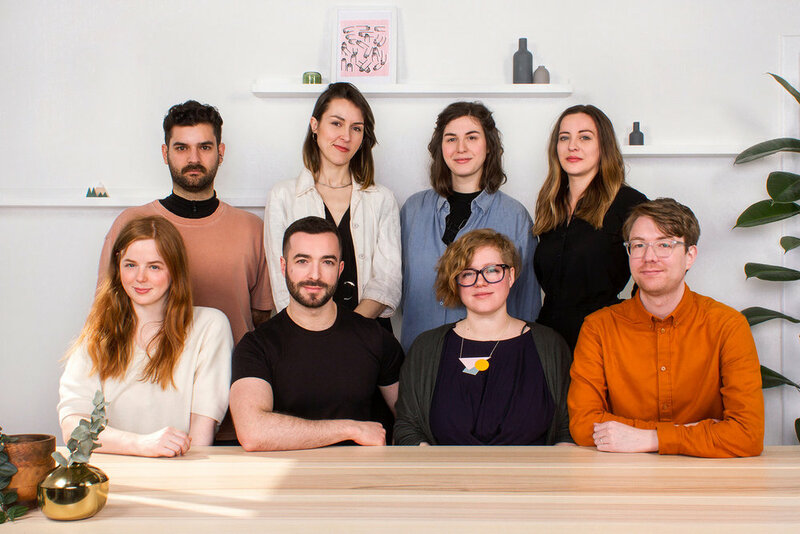 Design and delivery of engaging workshops exploring architectural education in the context of independence, connections to the EU and Scotland as a global country. Mapping creative industry hubs in Cape Town in collaboration with arts producer Natalia Palombo. Collaborative research seeking to embed engagement throughout the lifecycle of a school and provide teachers with tools to explore the built environment with pupils of all ages. Using temporary intervention to change perception of space, this screening of Girl Walk//All Day brought hundreds of people together on an under-used site facing the River Clyde. A response to urban vacant land within Glasgow, creating a shared brand for temporary interventions to public space. Public realm design for an under-used greenspace highlighting built and social heritage in Pollokshaws. Outdoor screening with Africa in Motion Film Festival supporting our wider engagement programme in Pollokshaws. Design and live build of a new community garden in Maryhill. 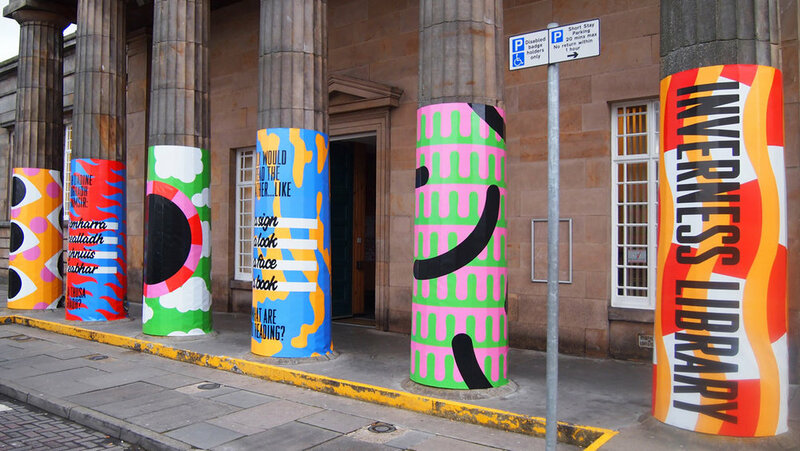 A series of artworks unveiled across Book Week Scotland 2013 to celebrate libraries as vital community assets. Developing a green and growing community group in North Glasgow. Collaborative research with the European Architecture Students Assembly considering responses to vacant urban land. Engagement programme over two years to support shared decision making and positive change through new housing, public realms and artworks. Briefing document to support future development of a school in Brechin, informed by student, community and stakeholder engagement. Presenting animations designed and filmed with young people telling the story of Pollokshaws. 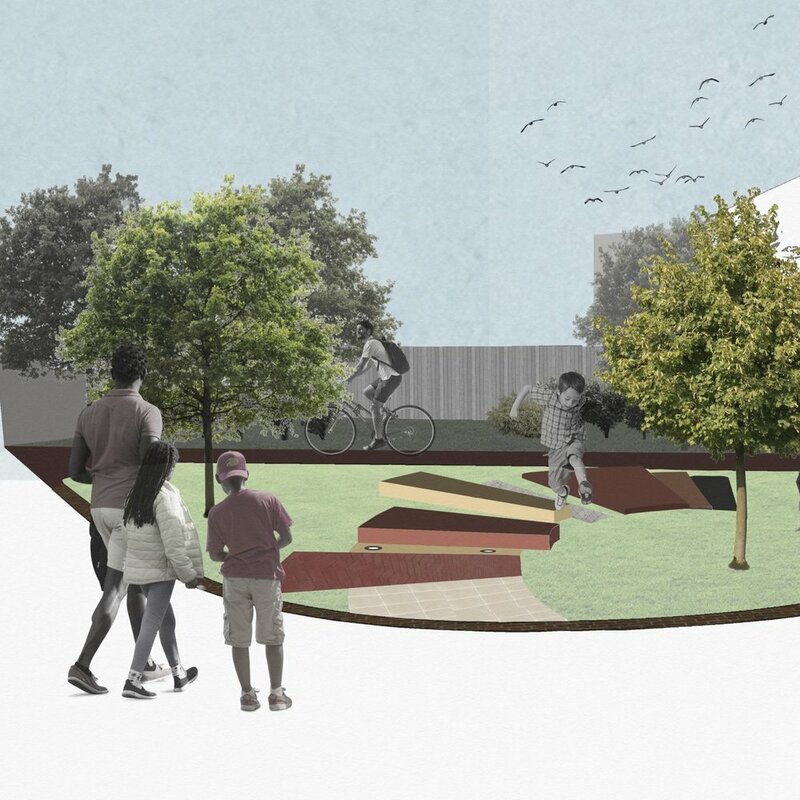 A shared community dining space designed to connect the seperate communities of the Kennyhill Allotments and Kennyhill Community Gardens. 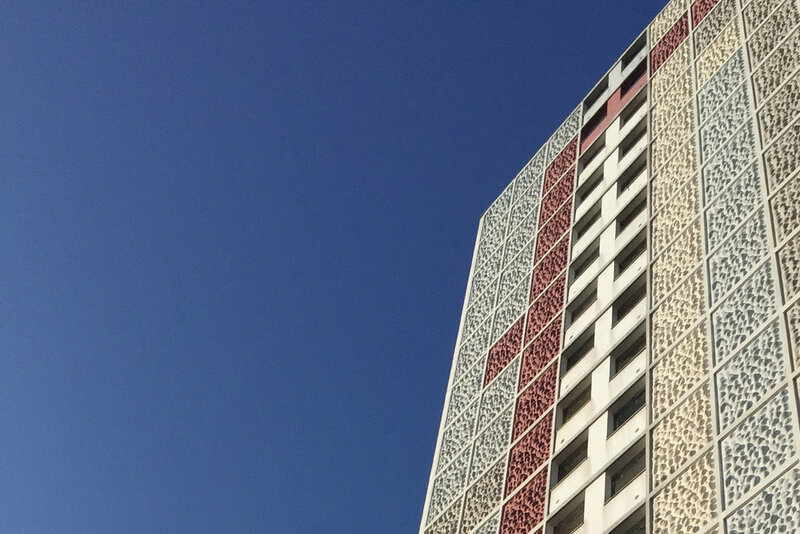 Creative workshops connecting young people to built heritage within their neighbourhood.